. Due to its religious online following, Microgaming has revamped it presenting the Break Da Bank Again sequel. 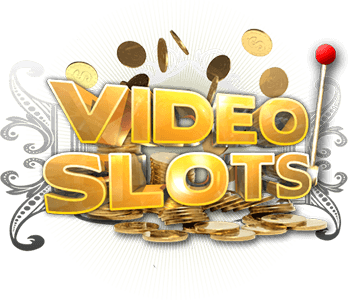 As a slot machine game, it is simple and very volatile (RTP 95.43%) and offers more moneymaking opportunities. 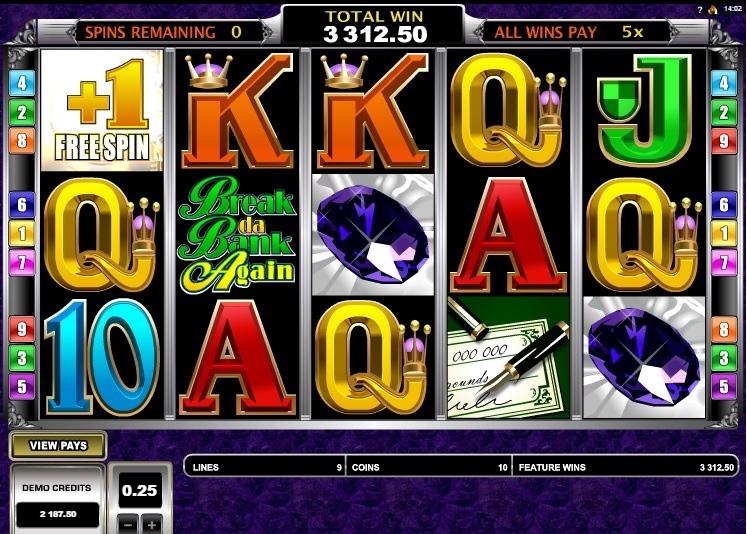 Break Da Bank Again has more features, paylines, symbols, and reels. This game is based on a ‘breaking the bank’ theme, just as the name suggests. All the symbols in the game are also related to this theme to give the player an exhilarating experience. 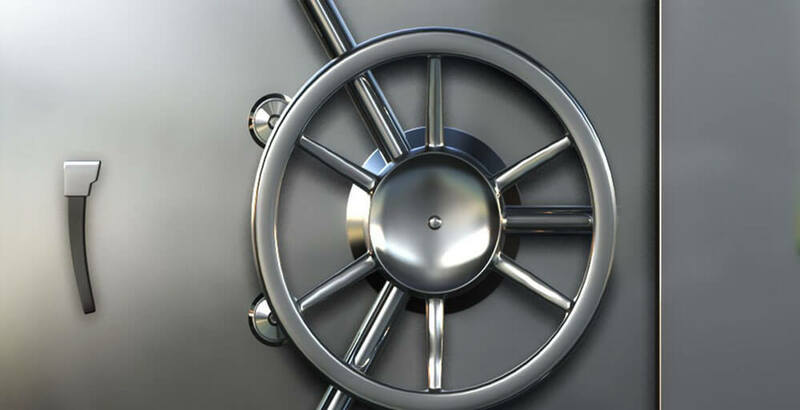 Since a bank is involved in the game, there is a vault where all the goodies are safely stored including precious stones, money, gold bullion and coins, cheques, jewellery, and special notes. 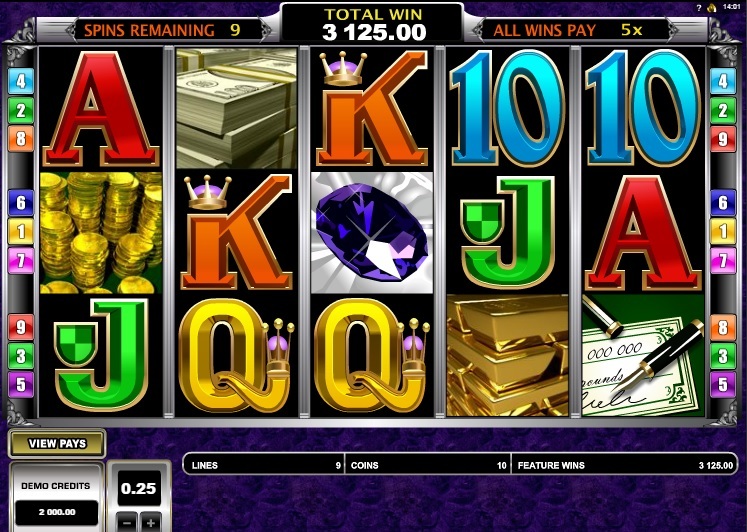 Break Da Bank Again slot game maintains most of the original symbols but also has exciting additional ones. The poker values from the ace to 10, cash, gold coins, diamonds, gold bars, pens, the vault, and game symbols. All these are guaranteed to give the player hours of thrilling gameplay. The vault and the game symbol are the major eye-catchers in this game. The game symbol is referred to as the wild symbol and can be substituted for all the other symbols. Therefore, if your spin gives you 3 bullions and a game symbol as well, you are eligible for a 4-bullion combination win. When it acts as a wild symbol, the game logo multiplies the payout 5 times. Then in the example given, by getting the 4 bullions, the payout is 100 credits. In this case, therefore, the payout multiplied by 5 gives 500 credits. In addition to this exciting feature, during a free spin, the game logo multiplies the payout by 25. Using the same example above, if you get a payout of 100 coins, then the logo multiplies your income to 2,500 coins. Talk about breaking the bank and this is it. 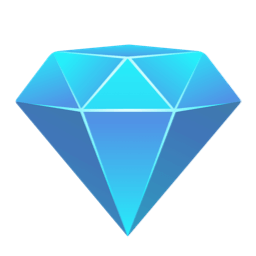 On the other hand, the vault symbol is referred to as the scatter symbol. You get twice the total bet if your spin gives 2 vaults. This happens without them being in any particular order. You will get free spin opportunities if you are lucky enough to get 3 or more vault symbols in a single spin. This logo gives the player up to 25 free spins. If your spins give you a win, the credits from the scatter symbol are multiplied 5 times - another way you can easily break your bank. This game is crazy in that the player can win real money in real time. You can get 375,000 coins in total in the Break Da Bank Again slot game. There are 3 levels of the free spin, which are 15, 20, and 25. In addition, to the advantages of the game, you can play it in any modern gadget including the iPad and tablet, desktop and laptop, and all mobile phones.